A powerful ancient artefact has been stolen… The Kingdom is on the brink of a disaster! The ancient order of the Ember Guards sets out on an exciting trip full of dangers and adventures. In pursuit of the magic stone they will have to overcome all sorts of enemies, vanquish their leaders and finally meet the Dark Lord himself in the final encounter. 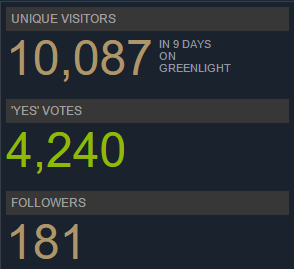 With the support of an amazing community Ember Guards reached top 10 on a 6th day of a Greenlight campaign and it has been Greenlit two days after. We received 4,240 positive votes and lots of good comments and feedback. It encourages us to work hard on the Steam version and do our best. On behalf of HitRock company we would like to say thank you all out there for supporting and being with us! Go play the game now on your iOS device and we need your support on Greenlight! Prepare for the battle with the final enemy! Monstrous, terrifying, fearless. Nuff said. New deadly hero. New Spells. New Gifs. And a couple of words about "App of the year" competition. We presenting you a new hero. Check out his abilities in GIFs. Looking awesome! Keep it up! I don't think so, but we will discuss it and who knows. Looks Good! Keeping an eye on this!